Free label templates make printing easy for all our high quality labels. Whether you're printing on an inkjet or laser printer, choose the file download that corresponds to the label you are printing. 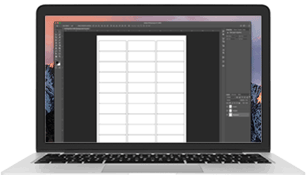 Most templates are available in four popular file types, so you can choose the one that you are most comfortable with.